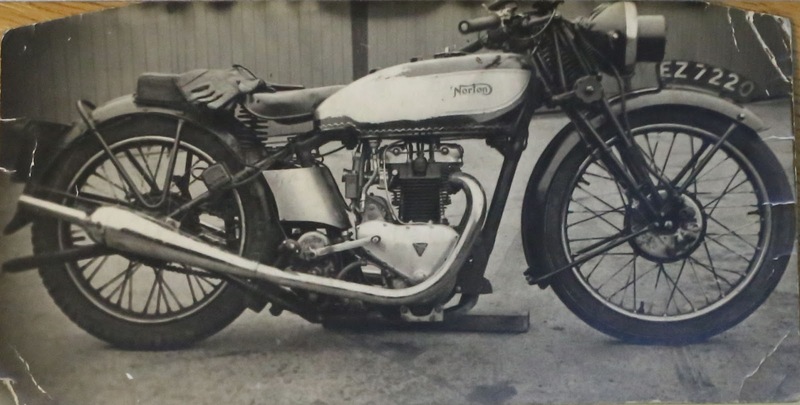 Vintage Norton Motorcycles: The first Triton? -JdK- Dennis sent these very interesting pics and the text below. There you have it, a Triton made in 1939. One of the first crappy Triumph frames and forks replaced by proper Norton items. Dennis: "This are interesting pics from the Rex McCandless archive within the VMCC library in Burton on Trent ... Will put the cat amongst the pigeons I suspect. 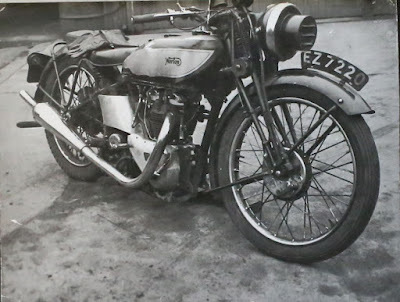 Rex made a Triton in 1939! Amazing considering the 5T 500cc twin Triumph was only new in 1938 from memory ..."